1) The above video is an excerpt from Soda Jerk’s (sisters Dan and Dominique Angeloro) Astro Black installation which examines the connections between space exploration and aliens stories, and black Atlantic social politics, such as the practice of abduction. 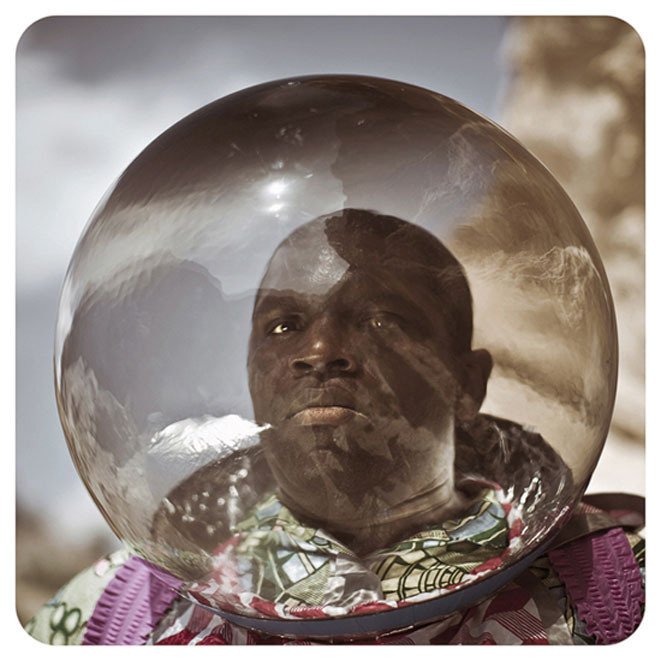 2) Cristina de Middel created a photograph series called Afronauts, which shows an inclusive approach to space travel. The United States and Russia are not the only places that thought about space travel. For example, in 1964, after Zambia gained its independence, it wanted to start a space program. 4) Speaking of Heron, he also did a song called, “Alien (Hold Onto Your Dreams),” which is about those who immigrate to America in hopes of living the American Dream. 5) Slate also posted an article on the history of Afronauts, from preacher Rev. Nix to Lil’ Wayne. 6) Fast ‘n’ Bulbous did a post on the Afro-Alien Diaspora, which is a discussion on the alien images used by Funk musicians.